Why choosing your blinds in Cardiff has just got easier! If you are currently changing the decor and interior design of your property in Cardiff, then why not think about enhancing the appearance of any room with quality blinds Cardiff? 3 Blinds Nice can supply and fit a range of blind types, this ranges from anything from Venetian blinds to roman blinds and everything in-between. We are now going to have a look at what blind types are on offer for Cardiff Blinds. This is to give you a feel for the different range and what may work best for the room you are currently decorating. Stylish Roman Blinds | Lots of patterns and colours make this a winning choice in Cardiff! Roman blinds are proving very popular at the moment in terms of complementing modern interior design with blinds. For example painted furniture that has been given the shabby chic treatment or made rustic for example can be complemented by neutral calico and other forms of roman blinds. These blinds can be made from types of hessian material’s for example or neutral colours. Read any good interior décor magazine today and you can see modern blinds being complemented by neutral and earthy shaded blinds. Why not take this interior design stance in your home, if you like modern styles of shabby chic furniture, then why not get a blind type to match in within your Cardiff or Penarth property. Come to the experts for modern blind types, 3 Blinds Nice prides itself on offering Blinds In Cardiff a vast range of blinds, moving away from stuffy blind types just suited for offices! Roman blinds are brilliant for example also in terms of complementing any interior design look. These blinds can come in a huge range of colours and shading options for any room. Whether that be a bedroom, living room or even the kitchen area, all roman blinds can be fitted to perfection by us, which makes the difference as DIY installation can sometimes be telling! For those unfamiliar with what Roman blinds exactly are, they are a material type blind that can be raised and lowered through a pulley system. These blinds can then be heightened or lowered in sections, they also can be suspended at a desired height within a window or door. Roman blinds are great because they are not normally considered practical in commercial settings such as offices, which means once applied to a home can make them more homely and feel much more in a domestic setting. If you do want naff blinds which look suited to a corporate setting, then you instead want modern blinds, in modern materials, then you need a modern, stylish blind company in Wales you need 3 Blinds Nice. Cardiff Blinds at affordable prices, why not give us a call today? Roller blinds are great in terms of instantly building in privacy within your property while also incorporating function over design. For example roller blinds can incorporate specialist materials which then allows them to be wiped clean, but also to actively resist mildew and damp spores, great for allergy sufferers who want to ditch curtains! Many people therefore choose specialist roller blinds in Cardiff for applications within the bathroom for example. These blind types are fantastic for providing privacy but also in resisting moisture, so maybe get a pair for your bathroom or kitchen, why not try 3 Blinds Nice to offer you affordable blinds. If you are finding it difficult to get a good nights rest, then why not consider also roller blinds to complement your bedroom that have a blackout lining? Many people are now choosing to have curtains to supplement their interior design but also to complement this with roller blinds which are neatly fitted within a windows setting, to allow the practicality of blocking out light for example. So if you want lavish curtains that make a real statement, yet they are not blocking out the light or possibly you are feeling a draft from single pane windows, then why not get a roller blind to help you with the problem? An attribute that many people forget about roller blinds is that they are great for allergy sufferers, which was briefly touched on above. Many people have dust and pet allergies, if this is the case and you are considering buying blinds in Cardiff why not consider roller blinds, as they can often can be supplied with a certain material type that can be wiped clean, therefore reducing the build-up of dust. Easy clean blinds can be supplied and fitted by 3 Blinds Nice for a lot less than you think! Out with the old in with the new! Get rid of them dated blinds give us a call today, we have options that will suit your home perfectly. Roller blinds Cardiff, if you require further information about roller blinds and how they can fit into your interior decor within Cardiff, give us a ring today. Why not choose Blackout Blinds in Cardiff? Although blackout blinds can be incorporated into most blind types today, we thought it is worth giving this blind type its own section, as they are proving extremely popular in Wales. Blackout blinds can now be built into modern fabrics within blinds- which can incorporate a form of design that you wish to create for your home. Yet also incorporating the functionality of completely blocking out the outside light. Perhaps your property has windows which let in the morning light quite substantially? Or perhaps on the other hand you have street lighting that is permeating into a bedroom window, blackout blinds can help you, get a more rested sleep with blinds supplied and fitted by 3 Blinds Nice. If you require expertly fitted and designed blackout blinds within Cardiff give 3 Blinds Nice a ring today! Vertical blinds for commercial or domestic purposes | Whatever the style, form or type of blinds you require do call us today. Vertical blinds are a traditional blind choice for many in Cardiff. Often people choose vertical blinds to be installed by a professional company such as 3 Blinds Nice, simply because they can rest assured about the quality of the blinds they are choosing and receiving. The infiltration of some low quality blinds into the market place has proved a nuisance to some consumers. Some blinds may look the part, yet quickly parts can deteriorate such as the pulley system often deteriorating quickly on low quality vertical blinds that are available. Rest assured that when you get vertical blinds installed by 3 Blinds Nice these are of a professional quality and grade. Vertical blinds are extremely popular also because you can choose the colour and shading to suit the interior decor of your home, possibly to match your carpet or wall shading for example. Vertical blinds are also extremely popular within commercial applications- this is because when you have employees working on computer screens then it is desirable to move the light into a different direction where it is not directly shining on their computer’s. Also vertical blinds can come in range of colours to match company brand colours in Cardiff, but also they act as a great shutter so when your business is closed people can not easily see into your Cardiff office or business premises. That reason is why a lot of people choose vertical blinds within the home as well, this is because throughout the day, daylight they can be moved around into a direction where the light is not shining directly on you, when you are eating your dinner or watching TV for example. Wooden blinds supplied and fitted in Cardiff, when you want to add a luxury touch to your home! Wooden blinds are constructed through horizontal slats, these sit together to offer a blind type that looks more substantial and often makes a high impact on the room’s decor. If you want a blind type in Cardiff that makes a real statement, and really does enhance any room in your house, then you need our wooden blinds. Great quality, durable and which can come in a range of finishes, we have blinds to suit any Cardiff property whether that be a new build or old Victorian home. Cardiff blinds at down to earth prices, that is 3 Blinds Nice. Those with more of the period property which consists of possibly wooden banister rails or perhaps wooden block flooring for example, these customers often choose wooden blinds to offset existing features within the home. Great for a period home in South Wales therefore. 3 Blinds Nice can offer you a range of wooden blinds, perhaps you would like to create the impression of a softwood pine wood or possibly a blind type that looks like a hardwood colour, that would best suit your Cardiff home. Rest assured whatever wooden blinds you desire, 3 Blinds Nice will have the solution for your interior decoration. 3 Blinds Nice | Helping you to choose your next blind type’s in Cardiff! 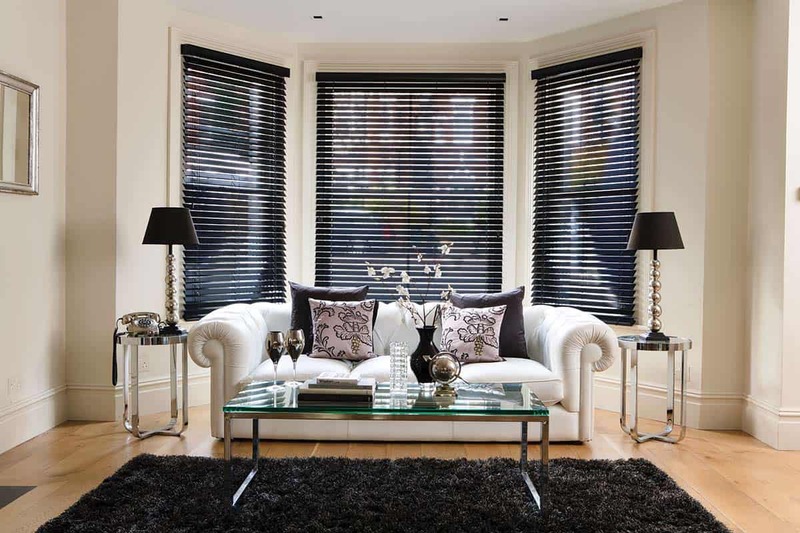 Need help choosing the right blind type in Penarth, South Wales? Kitchen Blinds | Personalise your kitchen with 3 Blinds Nice!